Microsoft sent two updates to Windows 10 PC users today: a cumulative update for Windows 10 desktop and a Redstone Preview build for its Insider members. However, no love has been shared with Windows 10 Mobile users yet. As Microsoft works to align both the desktop and mobile operating systems (trying to even use similar labels) with a plan to send out synchronized updates, so far Mobile seems like a lost child. Lumia 950, Lumia 950 XL and Lumia 550 will be the first to get Windows 10 Mobile insider previews. Despite Windows 10 Mobile preview screenshots leaked yesterday, officially there are no builds arriving on mobile devices today. Gabe Aul said that they “are nearly ready to start sharing new preview builds for Mobile as well.” We hope this “nearly” comes soon enough as it would be a long time before these upcoming Windows 10 Mobile Insider preview builds are tested by the owners of latest Lumia devices and then finally get to those who might be craving for it more, the Windows Phone users. With no information about when to expect the new builds, at least the latest Lumia trio is already using Windows 10 Mobile. This doesn’t bode well with the majority of Windows Phone owners, though, as over 77.1 percent of the world’s Windows phones still run Windows Phone 8.1. Which also means that Microsoft will be lacking the input of the majority of its consumer base. Since the operating system has been facing a lot of stability issues, this could be a good news for many as the OS gets polished for you by a few users on Windows 10 Mobile. 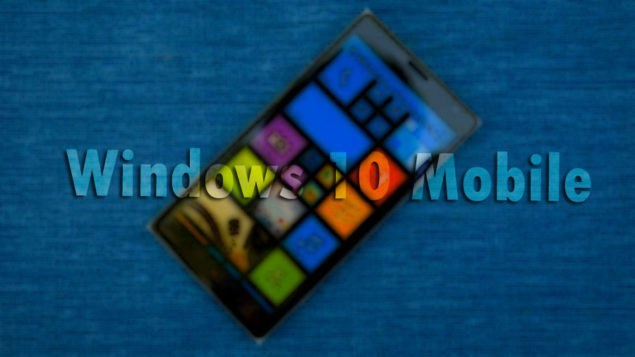 Microsoft is long overdue to begin releasing Windows 10 Mobile to Windows 8.1 devices. With reports of February bringing this update, let’s hope there are no more delays, both for updates coming to Windows Phones, and Redstone previews coming to Lumia 950, 950 XL and 550.